It wasn’t only poetry that I toyed with in Castleton in the Peak District. I also jotted down some ideas for short stories and I’m going to share them with you because I know that we’d all produce completely different tales (& submit them to different places) from the same initial prompt. Honeymooners – young or old? first or subsequent marriage? A couple having an affair – unused to spending so much time together, will they still get on or will guilt take over? A holiday to save a marriage – away from it all, can they get their relationship back on track or will it go up in flames? First holiday for years without the children – do the couple still have anything in common? Who carved them and why? What happens when one or both of them come back to revisit the carving? A local told us that the last ‘ordinary’ people to live in our cottage brought up 3 boys there – how? The house was barely big enough for the 2 of us! And that final point brings me to my poem – poetry connoisseurs please look away now. The rest of you can blame Julia, Susan and Alison, who all asked to see it after my post about the poetry writing workshop I attended in Castleton. a tiny corpse under a pauper’s shroud. 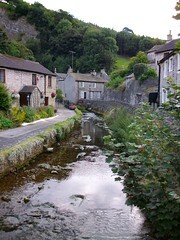 now travels the path toward Castleton. in search of consecrated land. Exhausted from birthing I never even held you. They snatched you away without time for farewell. My baby, you never shed a tear but my eyes will never be dry again. “When you write poetry, imagine looking through a small window. 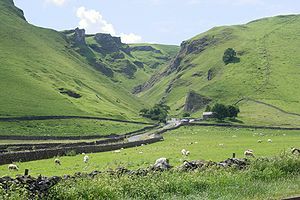 Focus on just one aspect of the scene,” advised Alison Riley on a recent ‘Poetry Stroll and Write’ which I stumbled upon whilst on holiday in Castleton, in the Peak District. As I’ve said before, I am not a poet but anything remotely writing orientated always grabs my attention, so whilst my husband took himself off for a walk, I joined the poetry session. Alison was full of good advice. Whenever I attempt a poem I immediately start worrying about its form – rhyming? free verse? sonnet? etc. Alison suggested that I forget all of this and instead let myself go with some free writing about what was around us. I managed some disjointed phrases about the mountain rescue van parked nearby. It definitely wasn’t poetry but Alison reckoned that with a bit of polishing it could become a reasonable poem. Thanks for the inspiration, Alison! Alison Riley organises the Derbyshire Stanza of the Poetry Society.